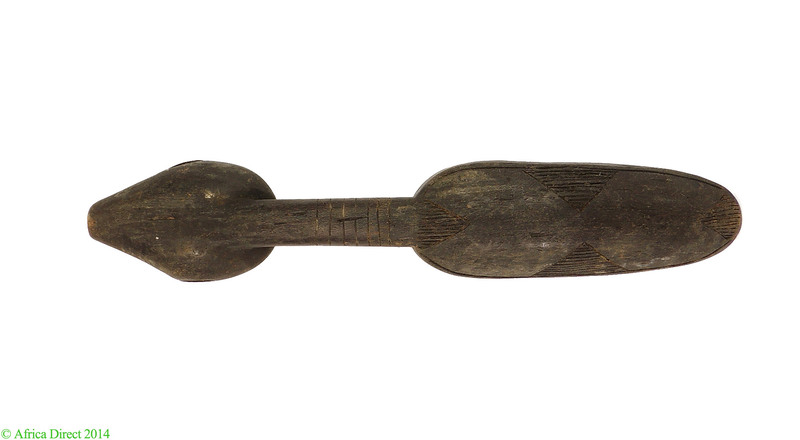 Dimensions 28.75 inches H. x 5.5 inches W.
Additional Information: Among the Baule ceremonial spoons like this come in various forms and the handles are simple or elaborate with carved animal or human heads or figures, or simply decorated with geometric motifs. Simple spoons are used for cooking, stirring, and eating. 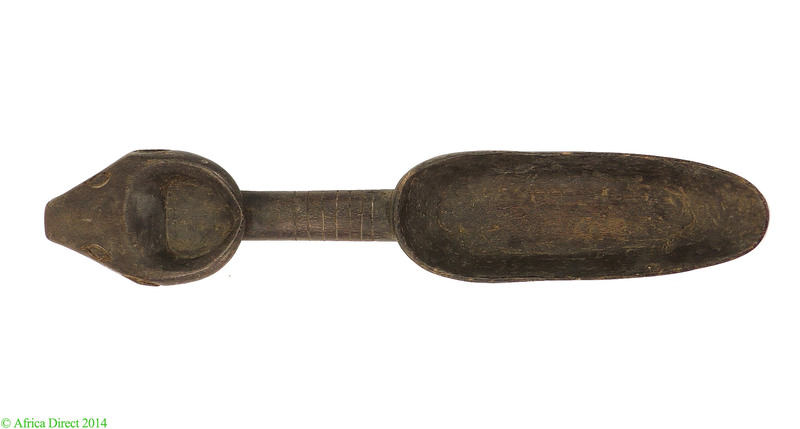 Elaborate and figural spoons such as this are best described as feast ladles used by their owner to offer food during public feasts or special ceremonies. 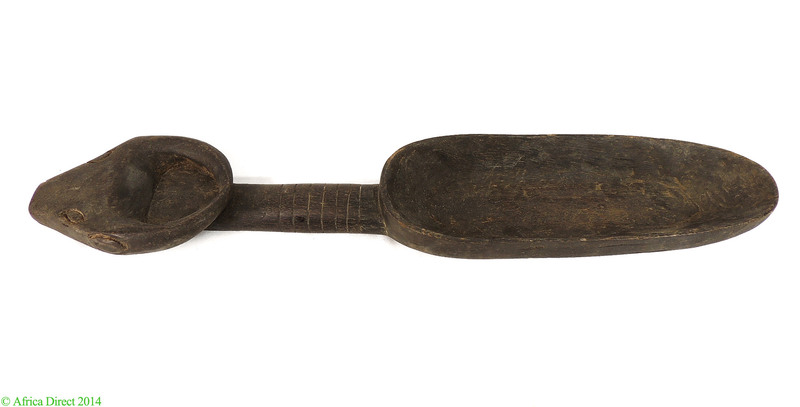 In certain parts of Africa, spoons like this are considered prestige objects used by initiate members. They are carved from prestigious material such as ivory as is the case for the Lega people of the DR Congo. Among the Dan for instance, spoons can be a central piece of important ceremonies and an award to women who had been judged by their peers and elders of their village to be the most generous and hospitable to others of their village quarter. Spoon shaped carvings such as this are best described as feast ladles used by their owner to offer food to others during public feasts.